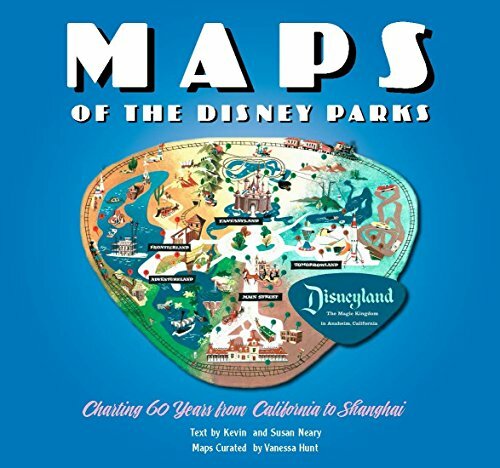 It all started with a map. . . . Maps of the Disney Parks are more than just atlases used by guests to find their way to Big Thunder Mountain Railroad. They are snapshots of a place and time, relics treasured by collectors, and gorgeous pieces of artwork. In fact, it was a map-imagined by Walt Disney and drawn by Herbert Ryman-that was used to sell the idea of Disneyland to investors. Unfold this book bursting with beautiful maps from when the very first Disney Park opened in 1955 right up to today. Discover details on how and why the domestic and international parks have changed over time, and enjoy six decades worth of skillful creativity.